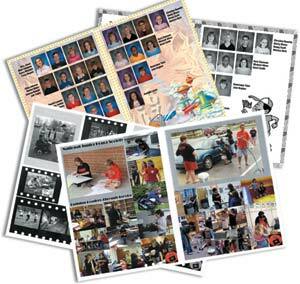 Order your Teach Yearbook Today! The sixth graders have worked very hard gathering all of the photos, fundraising, and designing this year's yearbook. Click here for the Order Form. NOTE: CCG KIDS NIGHT OUT IS CURRENTLY SOLD OUT!!!! Thank you for your support! Please take a moment to read Dr. Prater's recommendations for next year. You can read his blog article of April 5 introducing the document here. Idona called the meeting to order at 8:35 a.m.
Idona welcomed those assembled. At this point, Miss Bailey and two 5th grade students, Molly and Dexter, joined the group to read pieces that they wrote about their recent trip to Yosemite. The writing was excellent and everyone appreciated hearing details about their experience. After the students left, Mr. Block said that he and Miss Bailey had attended a week-long in-service last summer that focused on writing personal narratives, and that the pieces we just heard were an outgrowth of that. This year, Grace Wasser is going to the in-service (paying for it herself) and is excited to share what she learned once she gets back. The group took a few minutes to review copies of the minutes from the March meeting. Randi Barros motioned to approve them and Marie Neumann seconded the motion. The minutes were approved. Kurt Rightmyer mentioned that traffic seems to be lightening up. Marie Neumann distributed an updated Profit & Loss statement, and Idona asked a few questions regarding the way info was included and presented. Marie told the group that the current balance is $53,518.85. She said that Creeky Tiki/March-a-thon/Yearbook funds will be coming in in the next few weeks and she will have a more detailed budget for next year by the end of April. Idona said that she is still interested in creating a visual representation of money needed and collected (eg, thermometer). Marie highlighted the need for someone to volunteer for the treasurer position next year. She said that it will be much easier next year for several reasons. Among other things, the bookkeeper will ensure continuity. There was a question regarding the study trips for next year and whether there have been any decisions made regarding those. Mr. Block said that the school is not currently planning a change. He reiterated the point from last month's meeting that we need to make sure we do not spend more than we bring in. This is tricky because commitments and deposits are typically due before we have the opportunity fundraise. He also said that the teachers are key to the process of determining which trips to take, and that any decisions need to be made with their input. One concern expressed has been with Astrocamp and the distance the 4th graders travel for a relatively short trip. Regarding collecting money, each family has been contacted more than once, but we are no longer able to do that because of AB1575 and our need to comply. Lori Shields asked how we can communicate the discrepancy between the target for collection and where we are to date. Idona asked if Lori would compose an email to go out via an email blast and Lori agreed. She said that she could have that ready to send out next week. Marie reported that we have used $10K of the CD and we may need to use up to $7,900 more to cover this year's expenses. Doris Kim asked why so many 6th grade families don't pay the requested amount. There was discussion about the fact that many seem to think that they're done and no longer have an obligation help fund school activities. Mr. Block said that he told the 6th graders during the lead-up to March-a-thon that the Boosters are giving each student a t-shirt, and because of that they should each find a way to raise at least $5. View the Profit & Loss Report, July 1 - April 12 here. Mr. Block reported that Bonnie Johnson, a local art instructor who works in several schools, has put out her schedule for the coming school year. He met with the teachers and they figured out an ideal schedule for instruction at Teach. This year, Bonnie was able to teach 7 lessons at Teach; next year, they hope to have her teach 10 lessons (5 in the fall and 5 in the spring). These lessons cost approximately $100 each and the funds come from Boosters. In response to a question, he said that art instruction was cut from the school budget a few years ago, and now all such instruction is funded by the Boosters. Mr. Block mentioned that March-a-thon is today, and that he places the primary emphasis on fun so that all kids have a good time. He further reported that the process for selecting members of Dr. Prater's task force is almost complete, and that those selected will be notified very soon. He discussed Open Enrollment and said that there were fewer forms turned in this year, which is likely due to limited outreach and the uncertainty over the last few months. At this point, it does look like there are more 4th graders on the list than Teach will be able to take (there will be a lottery); it also appears that there will be one complete 4th grade class (versus a 4/5). The details will shake out as late as August, though, so nothing is official at this point. There was discussion regarding class sizes and classrooms available. Again, there are not many specifics known at this point in time. Robin O'Leary mentioned the survey recently distributed and said that parents should note that these issues aren't good for the students or the teachers of either school. A. Need for Boosters Officers: Idona told the group that the health and viability of Boosters hinges on the volunteers who help lead the organization, and that we need people to step up and agree to help out next year. The larger group also needs to help and support the people who do. Positions can be shared if that makes things easier for those who volunteer. Doris Kim suggested talking to the teachers and asking for suggestions regarding who might be approached and asked. Idona mentioned that we also need people to volunteer for non-officer jobs like Ice Cream Social Chair, and Erin Clausen said that she and Summer Kabaker would cover that job. Idona said that Mignon Jones will also help with that event. Idona also mentioned the possibility of doing a fundraiser at Greengate ranch next year. Someone would need to be a point person on a project like that as well. Randi Barros said that she is considering taking on a position but has scheduling concerns and is working through those. Lori Shields asked about the timing of an election and Idona said that it will be helpful for everyone to have the positions finalized by the last meeting of the year, which is May 31. Lori Shields had to leave but said that she did not have a report to make on Mrs. Kelly's class. B. March-a-thon: Volunteers will be counting money following this meeting. 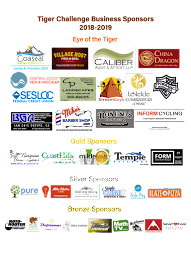 C. Traffic Task Force/Bike Ed Social: This event -- scheduled for April 12 -- is funded by the Bike Coalition. Kids are encouraged to bring bikes, and it's not a drop-off event. D. Creeky Tiki Event: This event is coming up soon, as it's scheduled for April 20. Nara Clark and Idona have donated things and others are encouraged to come up with items (generally, experiences) for the bid board. Idona has letters on hand for people to use when soliciting donations from businesses. Robin O'Leary mentioned that the classes are each donating a basket for the auction. Mr. Block said that he would take 5 kids to lunch as an item for the bid board. A. Junior Science Cafe: Mavis Wong is organizing this effort and has secured the participation of a few others. The idea is to have a 10-minute presentation, a 30-minute discussion and then an interactive activity at each meeting. The events will be held in the library at lunchtime, hopefully once a month. There was some discussion regarding the location and the ability of kids to eat their lunches there. B. Funding Cuts: Idona passed out a handout from a recent school board meeting that itemized possible budget cuts. C. International Day: This year, both schools will be involved. There will be a scaled-down version for K-3, but the upper BK grades will use the Teach model. Kurt Rightmyer then motioned to adjourn the meeting and Randi Barros seconded the motion. The meeting was adjourned at 9:42 a.m.
On Friday, April 26th Teach and Bishop's Peak schools will be celebrating International Day. Teach Boosters and Bishop's Peak PTA are working on getting things set up so that the students can benefit from a wonderful experience. 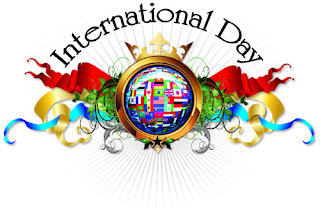 ALL STUDENTS are invited to wear school appropriate clothing of international day clothes. This may include a dress, skirt, top or jacket, hat, or scarf that is reflective of a country. ALL classes will attend an assembly that kicks off International Day in the morning. Students will view the list of countries prior to International Day and make a request for their top 3 choices. Then Mrs. Jones (and other teachers?) will assign 3 countries per student that they will visit in the morning. International Day schedule for Grades 4-6 may be viewed below. 10:15 am Recess ends and kids get lined up, get passports. Ms. Jones (and all teachers) will remind them of good natured ways of visiting countries. Our 6th graders have been working very hard gathering photos, laying out pages, fundraising and designing this year's full-color, hard backed yearbook! Print the order form here and return it to your child's teacher BY APRIL 5.